27 years ago today I got married to the most wonderful person in my world. Love my man to bits :) we're of to dinner to celebrate...YAY! It's been awhile since I gave you all a freebie but... I just have to let you all know about a terrific giveaway while I have your attention...lol! GIVEAWAY - That's right it's give-away time...YAY...till the end of the month, that would be the 30th June, you have three ways to get yourself a $6.00 coupon to the Scrappin Digi Kreations store. 1. This is so easy you don't actually have to do anything except... be a member of the SDK forum, yep that's it. At the end of the month we will randomly draw the name of one forum member. 2. To get the second coupon you're going to have to put in a little effort but we promise it will be fun. For this giveaway all you need to do is participate in two forum challenges, leave 5 gallery comments and 5 forum comments. We will randomly draw one member's name from those that are eligible. 3. If you're a chatty Cathy then this give-away is for you. Earn yourself the title of Friendliest Forum Member, when you post, post, post in the forum and gallery between now and the end of the month, don't forget to join in all the challenges too. 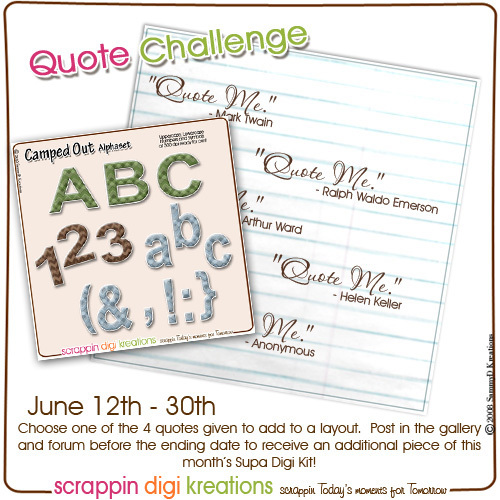 The QP was taken from my layout for the May Sketch Me Up challenge. DOWNLOAD HERE! Enjoy the freebie!!! We're having a bit of fun in the SDK forums with National Flip Flop Day - 17th June. I've asked everyone to share with us your fav pair of flip flops and if your keen post a layout or maybe just share a funny story. 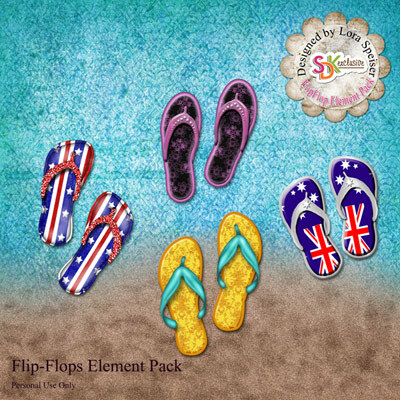 [Quote]OK...For anyone that completes a LO for National Flip-Flop Day, by Midnight (Central Time USA) June 27th (That gives you 13 days to make a LO) they will get this Element Pack for FREE! How awesome are these flip flops and yours FREE just for joining in and creating a layout...WOOHOO, I'm off to make my layout now! HOW TO PLAY: Choose one of the quotes and create a layout. Post your layout in the 2011 Quote Gallery and don't forget to leave us a comment in the forum with a link to your layout to receive the prize. This challenge will run until the 30th June, all participants will be eligible for the prize above. Supa Digi Kit Freebies for May - Let's Eat! 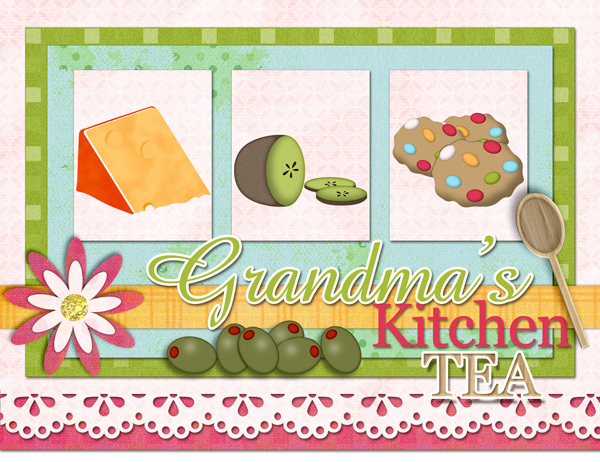 All the bits and pieces I used were from my contribution to the May Supa Digi Kit - Let's Eat. Isn't the card cute, I really love this one!